Even Disney seems down after the less than blockbuster opening for PRINCE CASPIAN. Yet, as of this evening, the movie has crossed the 100 million mark in the US after only 13 days, and is well ahead of the first film in all the international markets it has opened in. Particularly startling is Japan's enthusiastic reception. The biggest international venues are still to come. With so many big films at the beginning of the summer, CASPIAN seems to be at a disadvantage here in the States. Some have speculated that the dark themes are not matched with enough blood so it's too scary for kids but not violent enough for teens and adults. Maybe--but I think this is a movie that is in for the long haul. Let's wait a couple of weeks and see how the overall picture looks then. I was right on the reviews--they came in at my 65% favorable rating prediction. Maybe I'll be right with this forecast--look for PRINCE CASPIAN to do a worldwide gross of at least 600 million. It will take a while for this to happen, but it will--I hear the whisper of a LION in my ear saying it must be so. There is a depth to this film that is not present in INDIANA JONES or in IRON MAN. It would be great if folks take a good look at it--lots of weekends this summer to do so. *****May 29 update: Check out Paul Martin's great reflection on the film, asking folks to go and see it again and enjoy a great interpretation of a classic book! PRINCE CASPIAN: DOES THE FILM DO JUSTICE TO THE BOOK? 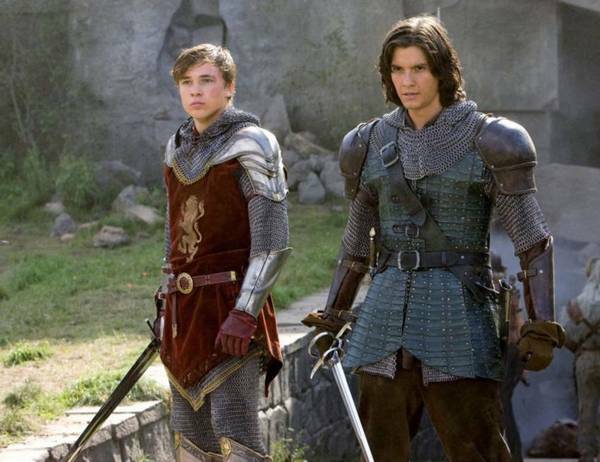 PRINCE CASPIAN: A BETTER FILM OR BOOK? "How could they gut this film of all the spirituality?" That's what some folks are saying about the movie--not many, but some. In fact, my reviews have gotten criticized a little because I have called the movie a very faithful and uplifting adaptation. Did those who disagree go see a different movie? Not at all. Expectations matter and it is worthwhile talking about the context in which people decide to view this film. First of all, I have no illusions about the secular media. It's a miracle when they try to adapt any film that has deep spiritual meaning. So I was not bothered that there was a little smoothing around the edges of the faith aspect. C. S. Lewis did this himself in his novel. Never does he call Aslan, "Christ", because if he did, millions of readers would never finish the book. He slipped that fact in behind an imaginary world, and succeeded because of it. I maintain that Adamson does the same. Anyone watching the film is going to get the faith aspect. Because it is not dressed up in blatant language or as a catechism answer does not mean the message does not exist. Second, I do think that Adamson improved upon the themes of the book. Peter's inner turmoil of once being High King and now having to do geometry and fight with the bullies of his day just rings true to me and answers a question I have had of the Chronicles for decades--"How did those kids handle the fact that they ruled as kings and queens and had to return to normal life?" In fact, Peter's pride and anger and Caspian's thirst for vengeance are welcome additions to the drama and make the fantasy even more poignant. I did not want a slavish presentation of the novel, because much of it would not have worked on film. Adamson had to fill in details simply left out or not thought of by Lewis. Lastly, it is an adaptation. This is Adamson's vision of Lewis' book, just like the film The Lord of the Rings was Peter Jackson's view of Tolkien's novel. They are entitled to their interpretation. Is it as good as the original? That depends. I preach on the Gospel every Sunday. People like my homilies; they interpret the Gospel. But when I place my homily next to the Scriptures my words pale in comparison. Yet, my homily helps bring people to the Gospels. Without it, people would not think about the Word of God. The same is true with a film adapation of a novel. It's not the novel. If you want it to be, you will be disappointed. I went into the film preparing to be enchanted. I surely was. So were the 225 people from my parish that I took to see the film. Whether very old, middle-aged, or very young, all were mesmerized by the beauty and wonder present in the film. I am thankful this movie was made. The basic gist of Lewis' work and message made it through, sometimes with incredible beauty. Those who grouse and complain ought to thank God that this novel got such reverential treatment. Far from turning over in his grave, C. S. Lewis is shouting for joy in eternity that Narnia lives for the whole world to see, and the Lion of Judah can still teach what it means to live forever and lead those humble enough to become like little children to Aslan's country where the summer is forever and the joy never ends. 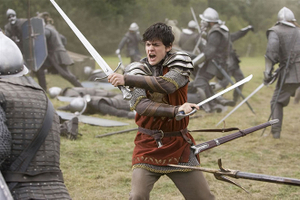 PRINCE CASPIAN is a more than worthy successor to THE LION, THE WITCH, AND THE WARDROBE. It stands on its own as a great adaptation of the most difficult of C.S. Lewis' children's books to translate to film. It gets a stellar rating because of all things small and superficial and all things great and dramatic. First of all, Andrew Adamson, the director, scoured the globe for beautiful natural sights. The first part of the film is a testament that a fantasy film draws us into an awareness of how nature lifts us up and ennobles us. The movie is a visual feast for the eyes. Second, every detail, even the smallest, has been given exquisite attention so that one has the feeling of actually being in another world. Whether its the chips in the steel swords or the tears in chain mail, or the grittiness of once free world fallen into slavery, the filmakers can take a bow for bringing this imagined world to life. Third, Adamson knew that much in the book would not work in the film, and much that was dramatic needed to be added. With a deft touch, he points out Peter's understandable difficulty in adjusting to being just a kid in our world and his move to prideful risk taking once he has his crown back. Add a desire for revenge on the part of Caspian because of his uncle's murder of Caspian's father, and these two protaganists are going to have inner demons to fight and difficulties in relating to one another. To their shame and sorrow, they suffer for their grandiosity, helplessly watching their fellow Narnians die for their misjudgments. Thanks should be given for Adamson wisely leaving out the Bacchus and Silenus parts of the book that always seemed a bit out of place. One can just hear J. R. R. Tolkien slamming down a pint of stout on the table and telling Lewis during one of this Inkling meetings at the pub that his weakness as a writer was adding everything but the kitchen sink. Adamson has made the movie into a powerful narrative that tells a deep story with great meaning. Fourth, the portrayal of Peter, Susan, Edmund, Lucy and Caspian by the actors was simply excellent. Here's why. This is a movie about what happens when you leave faith behind and think it is just a childish thing. It's a film about how such necessary belief is often replaced by darkness and sin represented by pride and vainglory. None of the secular reviews can mention this, but it is striking how much of St. Paul is in this film. Remember in First Corinthians when he says, "When I was a child, I talked like a child...When I became a man, I put childish things aside." His childish things were pride and jealousy and anger. He points out clearly that faith, hope and love are needed if one wants to become truly an adult. We will never see God clearly here, says St. Paul, but if we believe, we'll see enough to know that God is by our side. Kudos to Adamson for constructing the Aslan sequences to make this point crystal clear. To really see, one has to believe. Fifth, there is real loss as one grows up. The grief on the faces of Peter and Susan when they learn they cannot return is a testimony to the fact that life is a one way street. You really can't go back again. Like Aslan says, "Things never happen the same way twice." To be an adult is to embrace humility and trust the God who made us. The movie emphasizes that those who trust in themselves lose, and, to the dismay of many secular critics, only with Aslan( the Christ-like Lion) can victory be won. Some will wonder about the violence, but Lewis was a big believer in Ephesians 6 which talks about putting on the armor of God and doing battle with evil. 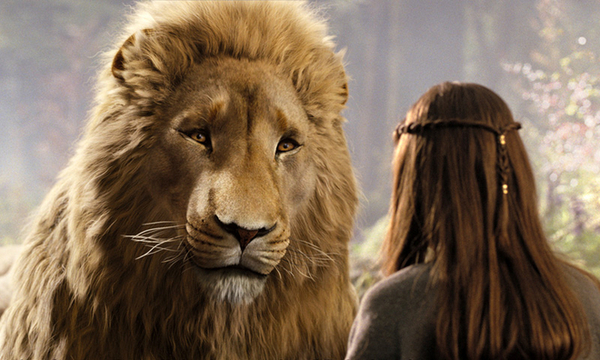 Aslan never criticizes the need to fight; but he does care about the motivation. 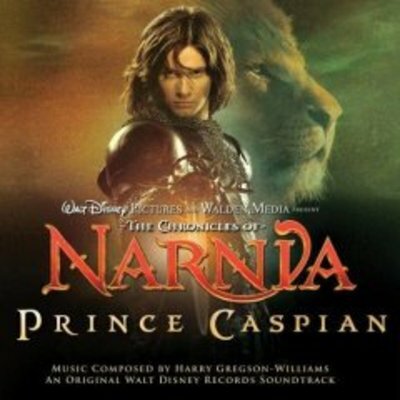 Tonight, Prince Caspian premiers in New York City, just a week and a half before its nationwide debut. For the next couple of weeks, check out this blog for updates, articles, reviews and links about how this movie will fare. You can bet there will be both criticism and high praise. Don't be afraid to let everyone read your comments as well. What do you hope for in the film? If you've seen it, did you like it? Add your voice to the discussion.